Rex Dravon, a notorious smuggler, is one of the Outcasts’ most important allies. Many of the Outcasts’ philosophies and approaches to life in general appeal to him, but he’s hesitant to commit to any cause. Hoping to entice Rex into committing, Arton the Heretic, tells Rex that he is genetically compatible with one of the “captive brides”, a feisty blonde named Thea Cline. Thea is still enraged that she was dragged from Earth without her permission, and she’s recovering from a horrendous tragedy. She sneaks aboard the Marauder hoping to steal a weapon. Instead she’s confronted by the ship’s handsome commander. She knows to be wary of Rex because of his reputation, but she’s instantly, and powerfully, drawn to him. His offer to help her escape comes a little too quickly and she fears he has ulterior motives. Is he simply hoping to lure her into his bed—a fate she’s not sure she’d mind—or is his motivation more nefarious? Note to Readers: This book contains detailed descriptions of sizzling passion only suitable for mature readers. Certain plot elements carry on from book to book. 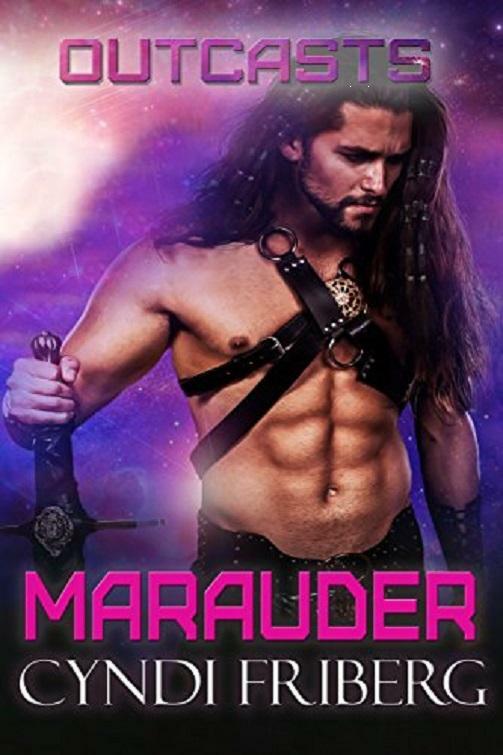 Though Marauder can be read as a standalone, it’s more fun to read the series in order. Enjoy!